Processing of the ingredients for the pet food industry. Rendering plants produce ingredients for the pet food industry, like lard, meal, greaves and greases. 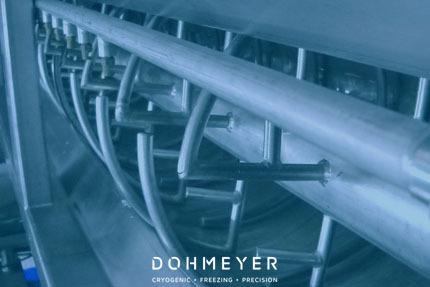 Control of temperature during processing and storage is essential for prevention of overheating, oxidation, rancidness, or bacteriologic contamination and for conservation of the organoleptic quality of these value-added products. Control of the temperature of offal and animal waste in rendering plants is necessary to prevent stench and the advent of offensive odour due to foul gases. Slaughterhouses can take advantage by rapidly cooling the offal, or freezing it. The price of these by-products of the meat industry will benefit from the higher quality. CO2 Snowhorns allow to spray and mix dry ice into the products. 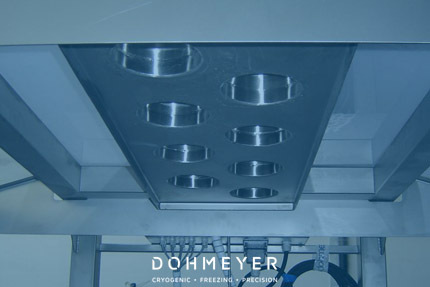 All kinds of Dohmeyers’ freezing equipment can be used.